The Unesco-Associated Centre for Microscience Experiments is located at the University of the Witwatersrand, Johannesburg. Until March 2015, it formed part of the RADMASTE Centre which originally resided within the Faculty of Science. It was here that the small-scale science kits for students were first conceptualised in 1993. Together with other UNESCO-associated Centres around the World, it maintains the Global Programme for Microscience endorsed by UNESCO. The University of the Witwatersrand is an urban university of roughly 20 000 students who are registered in one of five Faculties: Engineering & the Built Environment, Science, Health Sciences, Humanities, Social Sciences & Education, and Commerce, Law & Management. Johannesburg is a commercial city of about 4 million people. As the leading city in Africa it is classed as a World City. The region around Johannesburg is the heartland of South Africa. Whilst the University draws many students from this area, a significant fraction come from other provinces and other countries - specially other countries in Africa. 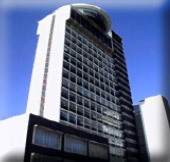 The RADMASTE Centre was located at the University of the Witwatersrand, Johannesburg. It was at RADMASTE that the small-scale science kits for students were first conceptualised in 1993. Together with other UNESCO-associated Centres around the World, it maintained the Global Programme for Microscience endorsed by UNESCO. The Centre for Research and Development in Mathematics, Science and Technology Education (RADMASTE Centre) was established in 1990 as a self-funding unit. Its general aim was to promote the quality, relevance and accessibility of mathematics, science and technology education. It did this by undertaking research and development at all educational levels. It provided and participated in curriculum development, teacher training, innovations in teaching and learning, authoring of textbooks and electronic materials, employing a staff of about 20 people. In cooperation with the Faculty of Humanities and the School of Education, RADMASTE staff participated in the delivery of various post-graduate programmes, including Short Courses for mathematics and science educators. The UNESCO-Associated Centre has access to the University infrastructure, which makes available extensive library, information, computing and communication facilities. It also has access to a large number of academic scientists and science educators as University colleagues. The UNESCO Centre integrates its activities with the broader range of activities of the Microscience Project at the Wits School of Education, which are driven primarily by local (South African) needs. These activities involve extensive teacher training programmes and development of locally-relevant teaching and learning materials. These materials are mostly in print and in English, but are available electronically also. DVDs and computer-based learning materials have also been developed within some projects.